These past few years, the SSPX superiors have unsuccessfully tried to make our Order align itself to their new Roman policy outlined in the Doctrinal Declaration of 15th April 2012, and in the Declaration of the General Chapter of 14th July 2012. The latter is contemplating a canonical “normalisation” under six conditions, without waiting for a doctrinal agreement or the conversion of Rome, which Archbishop Lefebvre regarded as a prerequisite: “It is therefore a strict duty for all priests wishing to remain Catholic to separate themselves from this Conciliar Church, so long as she has not returned to the tradition of the Church Magisterium and of the Catholic Faith” (Spiritual Journey). Our Rule declares that the Knight “serves the Faith up to its ultimate consequences and its most rigorous applications”, and that he “defends the Holy Church unto blood”, while our Constitutions add: “awaiting, in holy hope, that blessed day when [the Order] will again be able to submit entirely to […] a Rome that has finally been set free from the pernicious influence of the Modernist heresies”, like, in his 1974 Declaration, Archbishop Lefebvre insisted: “This we shall do until such time that the true light of Tradition dissipates the darkness obscuring the sky of Eternal Rome”. Moreover, none of the conditions set by the 2012 Chapter specifically excludes the Oath & Profession of Faith of Cardinal Ratzinger, which the Superior General has himself already implicitly accepted in a footnote of his Doctrinal Declaration, and which, for the past fifteen years, the Vatican has requested as a non-negotiable condition for any canonical recognition. Now, the Knights of Our Lady, who have pledged the Tridentine Profession of Faith and the Anti-Modernist Oath before the Holy Altars, together with Archbishop Lefebvre1, regard it as morally impossible for them to accept this post-conciliar oath, and consequently to bind themselves to clerics who would consider pledging it. Our fidelity to principles has irked some, and various blackmailing attempts and sanctions have been carried out to make us give in. On October 13th, then on November 29th, 2012, we were requested to change our Constitutions, which fully endorse Archbishop Lefebvre’s 1974 Declaration, since, we were told, there would no longer be a need to wait for the conversion of Rome. Then, on July 15th, 2013, the Superior General’s representatives informed us at the French District House, that instead of having a Bishop Protector –a position which Bishop de Galarreta had accepted since 1996–, we should have an Ecclesiastical Superior, who could overrule the decisions made by the hierarchy of the Order. This was quite the opposite of what Archbishop Lefebvre had insisted upon, i.e. that the bishops he had consecrated had no direct jurisdiction, and that it was up to the laity to call on faithful priests in case of necessity.2. We politely declined their proposal. Finally, on September 18th, 2014, French District Superior Fr. Christian Bouchacourt wrote to the Master: “Given the public positions which you have taken, as Master of the Order of the Knights of Our Lady, supporting those dissident priests of the Society, who have followed Bishop Williamson, the General House, with good reason, is asking me to inform you that no Knight will be allowed to participate in this pilgrimage in uniform”. He was referring to the Lourdes pilgrimage to which our Knights had officially been invited to serve for the past sixteen years. As for the so-called “public positions” taken “as Master of the Order of the Knights of Our Lady”, neither the French District Superior, nor the Superior General in his subsequent correspondence, were able to substantiate them. 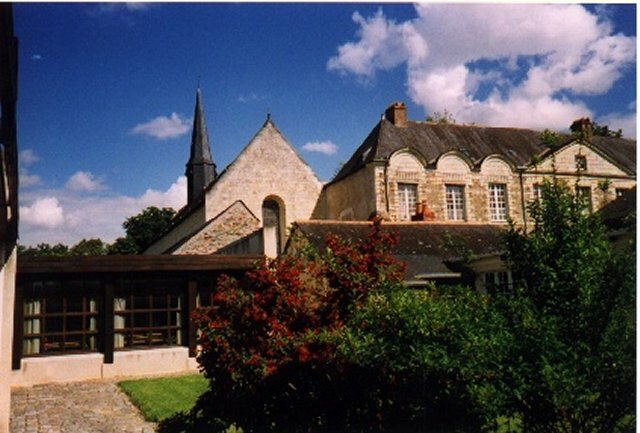 During another meeting at the French District House on January 13th, 2015, we proposed that a priest be in charge of contacts with our Order within the French District, but this was not heard, and the French District Superior informed us: “I will send you a Declaration –that will be my text– and you will sign”. By this Declaration, we would have pledged to never criticise Menzingen’s new orientations in our meetings or correspondence, and to never attend, even in private, Masses said by priests he would not have approved. These two commitments were in fact as good as amending our Constitutions, which, with the approval of the SSPX Canonical Commission dated 22nd September 1995, make it a duty for us to wait for the conversion of Rome, and give us the liberty to call on all the “faithful members of the Clergy”. Since we refused to yield to this abuse of power, Fr. 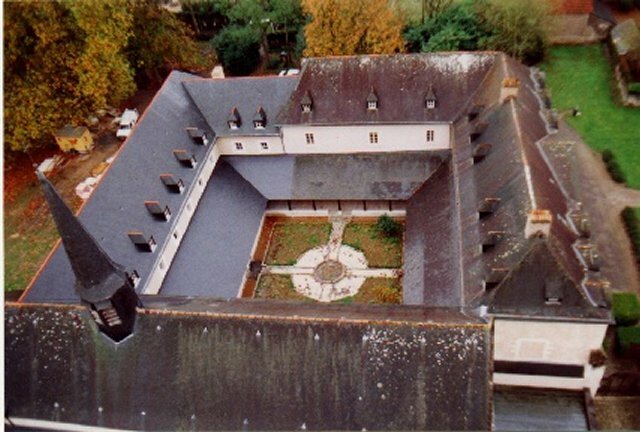 Bouchacourt notified us, by a letter dated May 26th, 2015, that he was suspending “the support of the District of France to the Knights of the Order of Our Lady”, and announced that he had “requested that some lay people would organise themselves to found a new structure”, which would allow those Knights who would disagree with their superiors “to follow the same ideal”. On June 4th, he confirmed this double decision in a fax to the French priories and some religious communities. Following St Pius X, the Knights of Our Lady know that the worst enemies of the Church are hidden in Her very bosom.4. They will consequently remain faithful to their Constitutions, and Archbishop Lefebvre’s 1974 Declaration, as well as to the Tridentine Profession of Faith, and the Anti- Modernist Oath, without siding with anything else than Catholic Tradition, pursuing the good combat of the Faith opportune, importune, as they have fought it for the past seventy years, and, with Archbishop Lefebvre’s encouragements, since 1969. Furthermore, they wish to express their heartfelt gratitude to the many good priests who continue to support them, and to renew their determination to remain at their service.